Rangers working in and around the Kruger National Park are under constant pressure from poaching syndicates to provide intelligence on the whereabouts of rhinos and anti-poaching operations. Forensic analyst Lizelle Grobler said it was not only young rangers looking for easy money who were the ideal target for syndicates, older rangers are often the most vulnerable to blackmail. A common modus operandi is for syndicates to get a hold of a ranger’s bank account and start depositing money into the account. They then tell the ranger that he or she can make even more money if they supply the syndicate with information. If the ranger refuses, the syndicate threatens to blackmail him or her about the funds already deposited, leaving the ranger little choice but to cave in and pass on information. “I’ve seen lengthy careers destroyed with this underhand tactic,” said Grobler. Just how vulnerable rangers are to corruption has emerged as a result of the clampdown on poaching in the world-famous park in recent years, which has meant that syndicates have had to find new, creative ways to get their hands on rhino horns. The problem came to a head in late July 2016 with the arrest of an award-winning regional ranger in the Kruger, Rodney Landela. But he was not alone: data collated byOxpeckers indicates that at least 17 Kruger employees have been directly implicated in rhino poaching since 2012. This includes at least 12 rangers and field guides. Vetting processes for Kruger officials, especially rangers, are being questioned in the wake of these arrests. Oxpeckers has learnt from a source close to the screening of staff that several Kruger employees failed stringent tests during a vetting process two years ago, but that none of the employees was dismissed as a result. It is unclear whether the employees who failed included rangers. Grobler’s company, Iqiniso Forensic Investigations, has conducted screenings of employees on several private game reserves in South Africa and neighbouring countries, resulting in the dismissal of staff in some instances. The company recommends three phases of testing, because the basic lie detector test can be manipulated, Grobler said. Best practice makes use of polygraphs, a polystress test that measures body stress and a sophisticated voice analysis that cannot be bypassed, she said. In response to questions about the testing of Kruger rangers, South African National Parks (SANParks) spokesperson Rey Thakuli said all employees undergo “a standard vetting and integrity testing process”. An unnamed service provider “assists with all relevant supporting information required in the recruitment of personnel, including its rangers”, he said, although no rangers had been dismissed as a result of the vetting. Thakuli said SANParks understood that the highly sophisticated crime syndicates involved in rhino poaching and the large amounts of money being offered by syndicates would continue to ensnare certain corruptible “fringe elements” within the ranger corps and other law enforcement agencies operating in the field of wildlife protection. The arrest of Landela sent shockwaves through the conservation community. An executive member of the Game Rangers Association of Africa, he had been trained to pilot a drone during anti-poaching operations and was in charge of the Mopani North Region of the national park. He was arrested after Kruger rangers came across the carcass of a white rhino that had been poached. They spotted two suspects and gave chase. The rangers managed to cut off the fleeing vehicle and were shocked when they found Landela and colleague Kenneth Motshotso, a veterinarian technician based in Skukuza, emerging from the vehicle. Blood-covered shoes were recovered from the car, and a high-calibre hunting rifle and two rhino horns were later found hidden in the veld. Thakuli said Landela had never been under suspicion in connection with poaching. His arrest followed that of another esteemed Kruger ranger, Lawrence Baloyi. 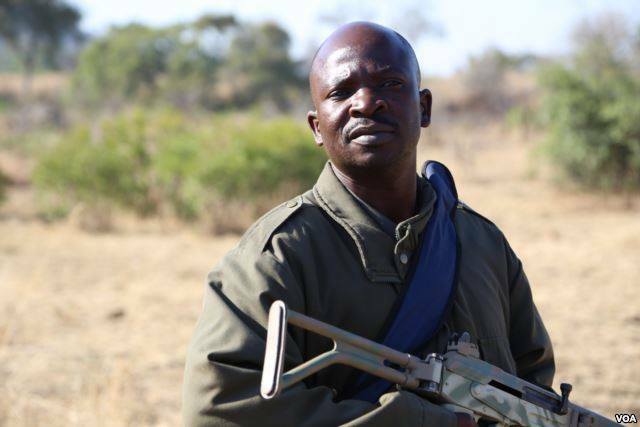 A section ranger of the Lower Sabie region and an outspoken anti-poaching spokesperson, Baloyi was arrested in September 2014 with field guide André Mabunda and Shakes Baloyi, a general worker. Mabunda and Shakes Baloyi were arrested shortly after rangers spotted a fresh rhino carcass near Lower Sabie. Tracking dog Killer, who has apprehended several suspected rhino poachers, sniffed out the two hiding in the bushes. They were arrested with a hunting rifle, ammunition, a vehicle and poaching equipment. 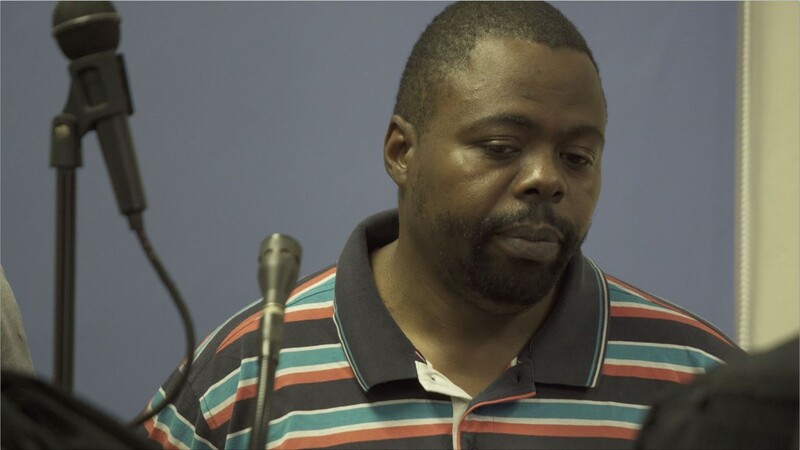 The two then told investigators that Lawrence Baloyi had been the mastermind behind the kill, and that he had transported them with his vehicle. The rifle used in the incident allegedly belonged to the section ranger, and Baloyi was arrested. Baloyi had spoken out against rhino poaching, and was quoted in several media houses about his passion to protect rhinos. In an interview with Voice of America, he said that to fight rhino poaching you needed to have your heart in it, but also admitted how easy it was for young men to be pulled in by syndicates. “They are clever… if someone got a rhino, it’s like a big-boss mega-big party – all the ladies, they rise to him. So, he is sending information that: guys, [while] you [are] busy sitting here, we are making money there. Follow me next. That’s why those groups escalate every day,” Baloyi told Voice of America. In January 2016 a briefing to Parliament by SANParks and the Hawks raised concerns about poachers bribing local communities to house and provide them with intel. Rangers, they said lived in these communities and were at risk. But General Mthandazo Nhlemeza, national head of the Hawks, told Parliament a vetting process of rangers and their equipment was always carried out before each anti-poaching operation. 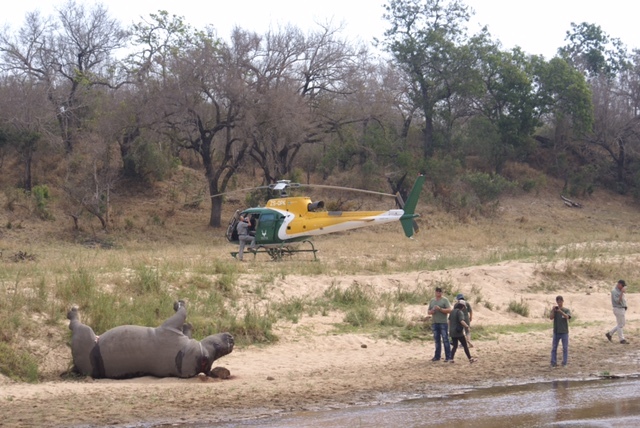 The then commanding officer of special projects in SANParks, General Johan Jooste, told the committee that rangers had to undergo compulsory lie detector tests as part of efforts to stamp out rhino poaching. Jooste said SANParks was improving integrity testing for its staff. “Every ranger now does a compulsory lie detector test and it’s now part of service conditions. We can do it at any time,” said Jooste. Asked if SANParks offered programmes to dissuade rangers from being drawn into poaching syndicates, Thakuli said SANParks offered “an honest employment opportunity with comparative wage, and good working conditions. “We also have ranger wellness programmes to support both rangers and families,” he said. Data for this investigation is here.